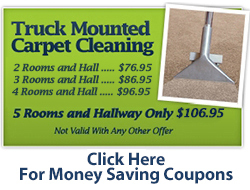 Are you looking for professional carpet cleaning services in the Sterling Heights, MI area? 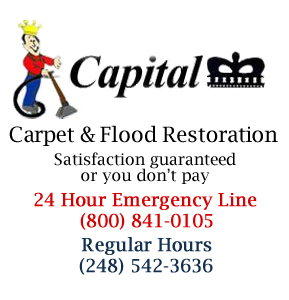 Capital Carpet provides professional, quick drying carpet cleaning services for both residential and commercial customers in Sterling Heights MI. No need to worry! A deep clean by professionals will breathe new life into your carpet and give it the fresh look it had when it was first installed. Call Capital Carpet today at (248) 542-3636 for carpet cleaning in the Sterling Heights, MI area. 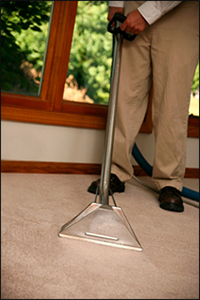 Capital Carpet, Inc. serving Sterling Heights, Michigan, has been in the carpet cleaning business for over 36 years and has provided quality carpet cleaning services. Only safe products and the most recent cleaning equipment are used to give your carpet that clean new look you’ve always wanted. Superior carpet cleaning results are possible through technique and chemical developments for carpet cleaning in your home or business. We will move most of your furniture and will never charge hidden fees. Our knowledgeable employees that have been with us for 10 years on average can handle many of the hard to remove stains that other carpet cleaners can't. Our equipment is used properly and efficiently to insure an excellent quality carpet cleaning service. In most situations, carpet drying time is complete in just a couple of hours. If you need residential or commercial carpet cleaning services call Capital Carpet today at 248) 542-3636 for carpet cleaning in Sterling Heights MI with expert removal of carpet stains and quick drying times. We guarantee satisfaction or else you don’t pay. Testimonial: "Yea, Matt is the greatest, last time he did my carpets he did an awesome job. Now anytime I need them cleaned I request him"